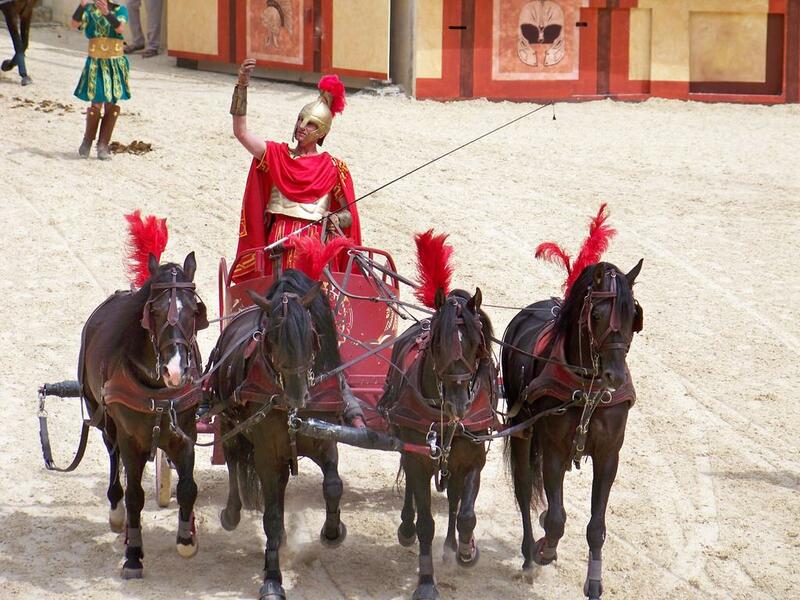 In October 2016, the Puy du Fou obtained the prize of Best European Attraction. More than a park, it is a worldwide unique experience. 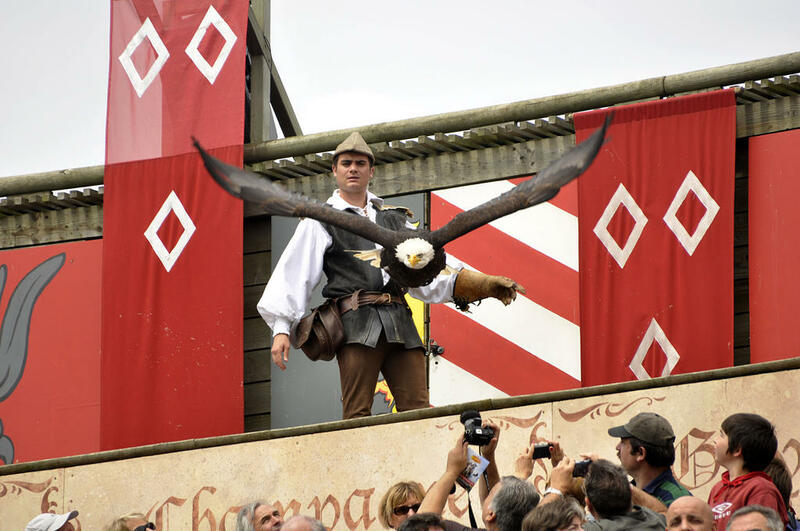 At the heart of a centenary forest, the Puy du Fou® is a unique place to spend an unforgettable stay with family or friends. Great shows and splendid nature will take you through the centuries, for an absolutely unforgettable experience. Leave the 21st century and start the adventure ! Experience a poetic love story of water and fire! 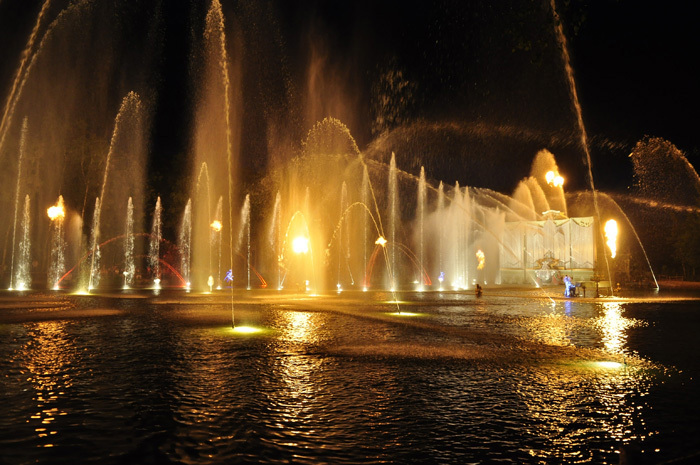 This nighttime show of the Grand Parc will take you on a fairylike and wonderful journey. 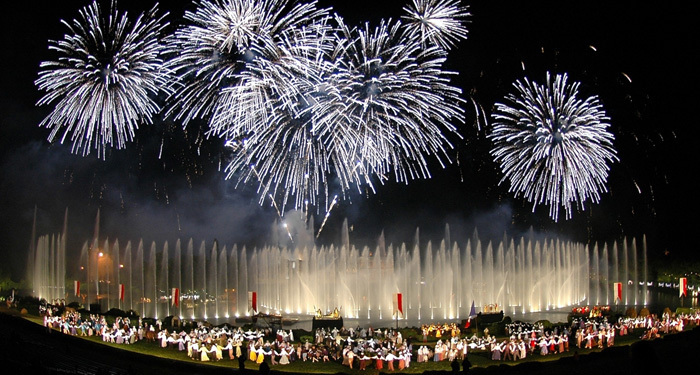 Every night, on the old pond of the Puy du Fou®, romantic musicians wearing light costumes make muses and elfs dance in a fairytale symphony of water and fire. 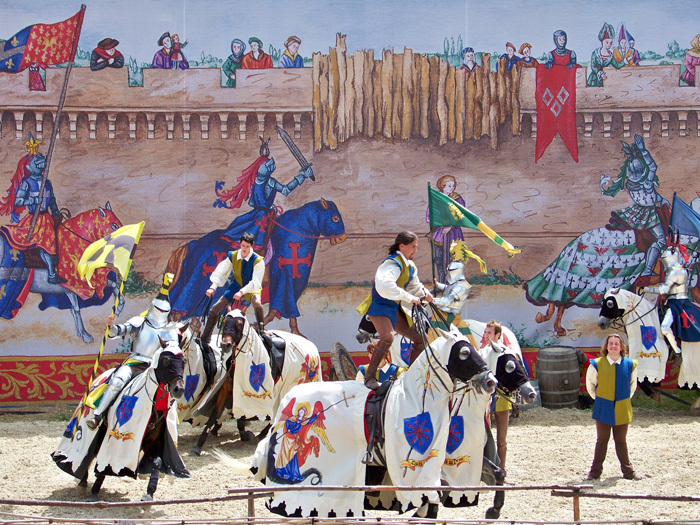 This show is included in the visit of the Grand Parc during the green period (see opening calendar). FOR THE GRAND PARC (tickets without a date, free wisit day). Already more than 10 million spectators, a 23 ha stage, 1.200 acteurs, 8.000 costumes, a 1hr40 show … the world’s biggest nighttime show has become a myth you may not miss. 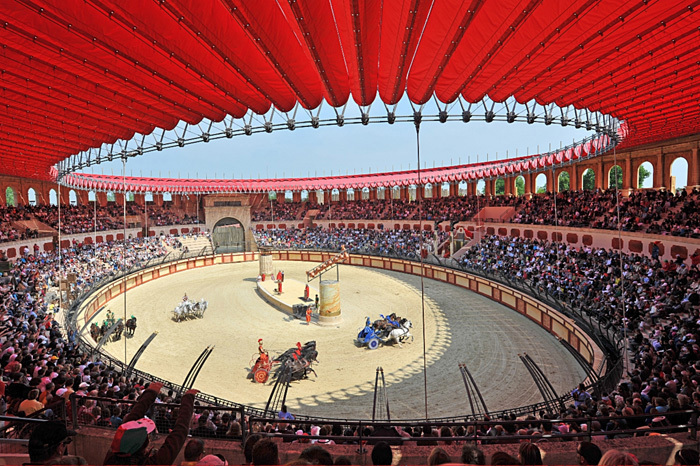 Copyright Puy du Fou on the images entitled: Stadium / Mousquetaires Richelieu / Les Vikings / Orgues de Feu / Cinescénie. Copyright Camping Le Chaponnet for Le Secret de la Lance / Le Signe du Triomphe.